luxury custom homebuilders, the fireplace is just as important as any other part of the house. 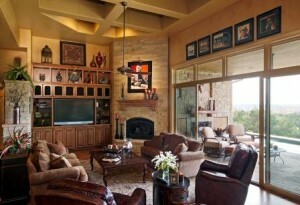 In order to help new homebuyers, Sterling Custom Homes offers a number of fireplace styles and price points. The standard option is a pre-made metal box that represents the classic wood-burning hearth. Those looking for subtlety can choose a fully-concealed gas log fireplace. And if you want something a bit more conventional, Sterling recommends the Isokern fireplace, which provides a traditional wood-burning experience. Fireplaces are just one of the many features that buyers can customize when they choose a home from Sterling Custom Homes. The builder will work with you every step of the way to ensure that your home exceeds expectations. With over 20 years of experience, Sterling Custom Homes has developed a reputation for exceptional quality, integrity and service.